The Christmas Countdown is ticking and now we are in the single digits!! Before we know it, we will wake up to find presents under the tree and be in the presence of our loved ones. What a glorious morning it will be. While the fact that Christmas is quickly closing in on us is exciting, it may also be stressful for those of us who have not finished Christmas shopping yet. Don’t fret though, we will help you find the perfect gift. Since one of our favorite things about the holidays is picking out the perfect present for everyone on our list, we thought it would be fitting to share the holiday cheer by blogging about great gift ideas for caregivers and the elderly. Last week we covered gifts for caregivers, you can find that blog here. If you have an elderly loved one on your list and you aren’t sure what to get them, you will want to keep reading. We have some great ideas! Grandparent Talk- This deck of cards will help get the conversation rolling with several great questions to ask your elderly loved one. Bananagrams- This scrabble-type word game is a blast to play. Race your loved one to see who can build the most words the fastest. Card holder or Automatic shuffler- Unfortunately, as we age it can be tough to hold cards or shuffle. These gifts will help your elderly loved one play cards for years to come. Game books- Crosswords, word searches, Sudoku, etc. These are all great gifts that help pass the time and keep your elderly loved one’s cognitive thinking strong. Fall protection mats or flooring- If you fear your loved one may fall, these products could ultimately save their life. Personal emergency response system- These wearable devices are like life-alert and will notify family members and professionals in case of emergency. Medication Management systems- Thanks to technology there are automatic systems that allow you to fill your elderly loved one’s medications and dispense them through an online portal. Talking clock- If your loved one has vision issues, a talking clock is a thoughtful gift. Everyone loves having help with daily chores and errands. These gifts will help make your elderly loved one’s life a lot easier. Smart Shopper Grocery List Organizer- This device allows your elderly loved one to make their shopping list by talking to it. The device will then categorize the items and print it off for your loved one. A meal subscription- Always making yourself food can be a drag and difficult. Services like meals on wheels is a nice and thoughtful present. A Roomba- This robotic vacuum automatically cleans rooms! Need we say more. 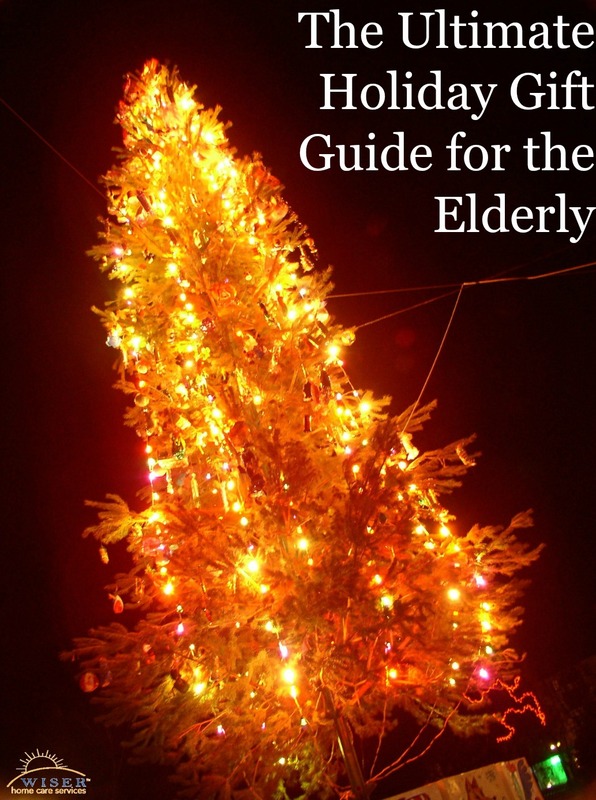 We hope this list helps you find the perfect gift for your elderly loved one. In the end, while things are nice, the best gift you can give your elderly loved one if your time. We agree. A smartphone is a great gift to give an elderly loved one.